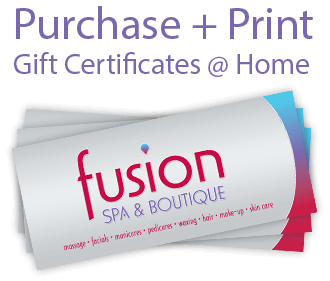 Hair care for ALL hair types and hair styling. The signature product, MoroccanOil Treatment is the perfect foundation for you hair! Complete with styling and conditioning benefits, this award winning formula infused with argan oil creates long-lasting smoothness, increased manageability, boosts shine & speeds up blow-dry time. Rich in vitamins, minerals and antioxidants, this age-old beauty secret has many uses, helping to hydrate and soften your hair, face, body and nails. With its high content of antioxidants, essential fatty acids and Vitamin E, the benefits of argan oil naturally help revitalize skin, increase hair’s elasticity and consistently restore shine to dull, lifeless hair. It is a powerful antioxidant, UV-protector and free-radical neutralizer. Argan oil for hair leaves it beautiful, shiny and nourished with each use. Argan oil for skin luxuriously hydrates and infuses it with moisture. Argan oil has also been known to help reduce the appearance of wrinkles. 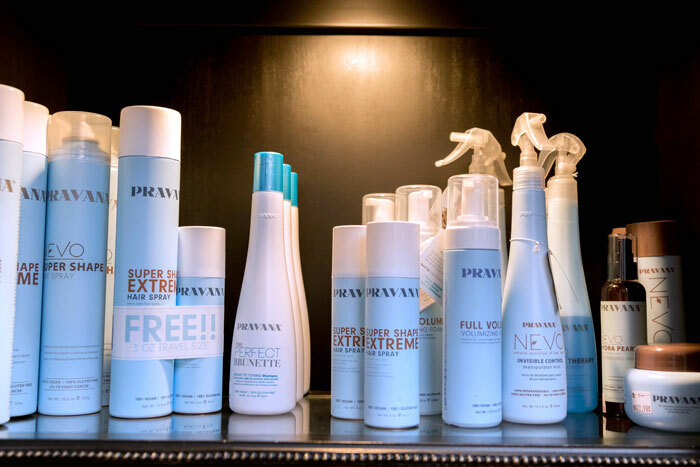 Pravanahair color products are always free of parabens, sulfates, cocamide DEA, formaldehyde, phthalates, and many other ingredients commonly used in cosmetic products but known to be harmful to users or the environment. This hybrid approach, which marries time proven botanical extracts and natural proteins with modern elements such as nano-amino acids and micro-polymers, provides hair care that is truly super-natural while also protecting the planet and its people. 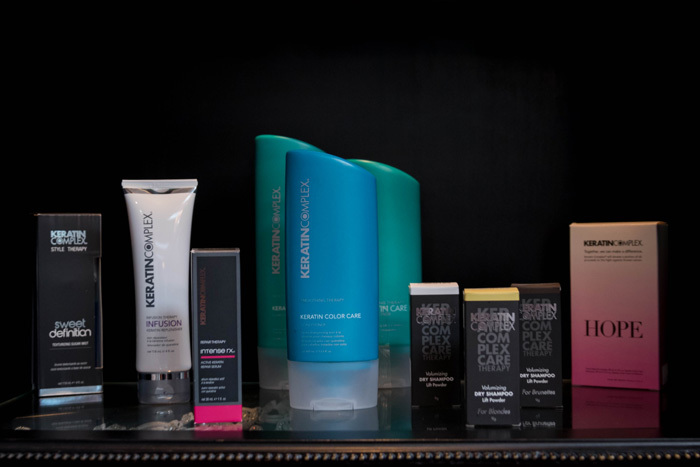 PRAVANA’S full and complete range of continuously natural evolving hair care products includes hair color, styling, texturizing and after-color care to meet virtually every beauty need. Their anti-corporate philosophy goes beyond traditional product creation by redefining personal hair care with a caring commitment towards only the highest quality brand and product precision, underscored by a responsible and altruistic eco-conscious approach, which includes biodegradable packaging, natural, non-harmful ingredients and a built in charitable contribution for every purchase made. Your hair, your way! The “I woke up like this” hair can be a reality! It all begins with Keratin Protein! This proven ingredient helps make smooth, manageable and youthful-looking. The innovative technology in the Smoothing Therapy treatment binds Keratin to the hair. This process helps prevent humidity from penetrating the hair locking out frizz! When Keratin is depleted, the hair is damaged physically, chemically and/or from environmental factors such as the sun…this keratin loss exposes the hair’s cortex making it susceptible to additional damage and causes porous spots to develop–similar to potholes in a road. This forumatled treatment replenishes lost keratin and helps to correct and smooth the hair’s surface. It restores strength and elasticity giving a more youthful, healthy appearance for your hair. 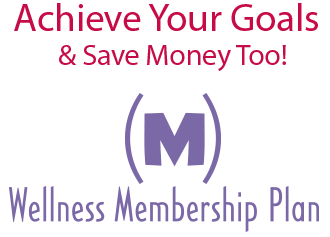 Transform your hair and start saving time now! 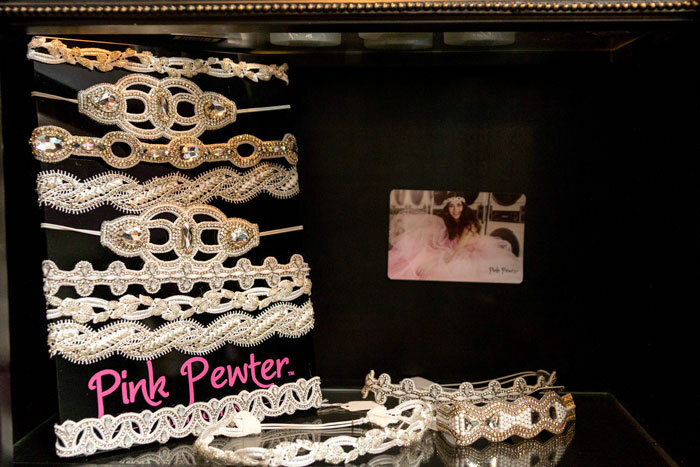 As the leader in in hair accessories, Pink Pewter has made a strong name in the beauty community through the top influencers in the industry to the everyday Pink Pewter-wearer. Worn by celebrities and the larger-than-life personalities, our hair accessories and jewelry created a new category in the beauty community that allowed our fans to create endless options with our pieces.